Just wanted to follow-up on yesterday’s Jack Lew post to clarify the point I was making: One common reaction to the Lew announcement, voiced by liberals like Salon’s Glenn Greenwald, is to groan that Obama has just replaced one former banker (Bill Daley) with another, as Lew spent two years at Citigroup before joining the administration in late 2008. My feeling about this is twofold: First, liberals aren’t wrong to groan. It may well be that Obama has just appointed a chief of staff whose experience is way too similar to the other men and women he’s put in top positions over the years, especially on the economic team. Second, if that critique is accurate, it’s probably not primarily because of Lew’s tenure at Citigroup. While the Citigroup experience is something Lew has in common with Mike Froman, David Lipton, and Lew Alexander, to name a few current and former top administration officials, my reporting indicates it never really took. He just wasn’t especially interested in being a banker or in the work bankers did. 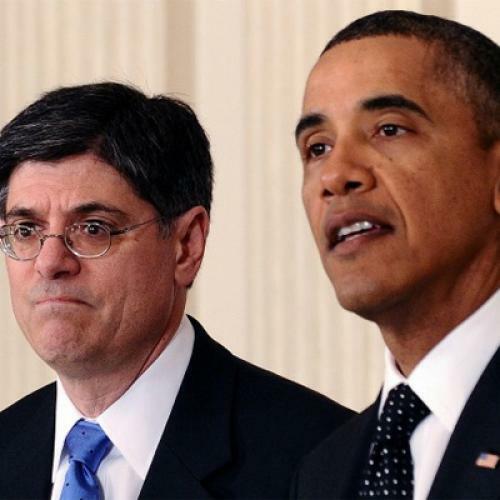 The ways in which Lew may be too similar to the rest of the Obama team is that he’s spent too much time in Washington bureaucracies soaking up Washington conventional wisdom, and, therefore, was too eager to do something like trade Medicare cuts for an elusive and in any case premature deficit-cutting deal. The Citigroup experience isn't exactly ennobling. But it's probably not where his blind spots are (unlike, I'd argue, Daley, who really did internalize the banker/corporate worldview).